With one month to go, Byron Kaverman leads @GPI 2015 Player of the Year race; also still leads overall rankings. Michael Dentale is trending upward in the @GPI, while Justin Schwartz rejoins the overall top 300. Each week, the Global Poker Index releases a list of the top tournament poker players in the world using a formula that takes into account a player’s results over six half-year periods. For a look at the entire list, visit the official GPI website. Here’s a look at the rankings as of November 25, 2015. There was zero movement among the top 10 for the week in the 2015 Global Poker Index Player of the Year race during a quiet period in the tournament schedule. Byron Kaverman remains the frontrunner with one month left to go in the POY race, enjoying a fourth-straight week on top. Looking down the POY list, Georgios Zisimopoulos jumped from No. 68 to No. 41 after making a couple of final tables at the recently completed Master Classics of Poker in Amsterdam. Kaverman stays on top once again in the overall GPI rankings this week, his ninth-straight week at No. 1. Meanwhile both Davidi Kitai and Erik Seidel rejoined the overall top 10, each moving up three spots this week to claim Nos. 9 and 10, respectively. Seven players moved up in the rankings to join the overall top 300 this week, with Michael Dentale being the highest-ranked of the group after jumping from No. 355 to No. 231. An eighth-place finish in the partypoker World Poker Tour Montreal Main Event at the Playground Poker Club helped Dentale make his upward move. Dentale will be moving up still more next week for certain, thanks to his victory in the Borgata Fall Poker Open Championship late Wednesday night. Dentale topped a field of 557 to earn a handsome $336,311 prize in that one. Also joining the top 300 this week is Justin Schwartz, 14th-place finisher in the 2015 World Series of Poker Main Event. Schwartz final-tabled the $3,250 High Roller event at the WSOP Circuit Planet Hollywood festival last week, finishing fourth to go from No. 397 up to No. 298. Of those inside the top 300, Dentale and Schwartz were the biggest gainers this week thanks to those recent scores. Timothy Adams also made a big upward move from No. 329 to No. 236 after cashing in the Master Classics of Poker Main Event where he took 18th. Looking at who fell the furthest this week among those still ranked in the top 300, Phillip Hui took the biggest tumble after going from No. 222 to No. 277. 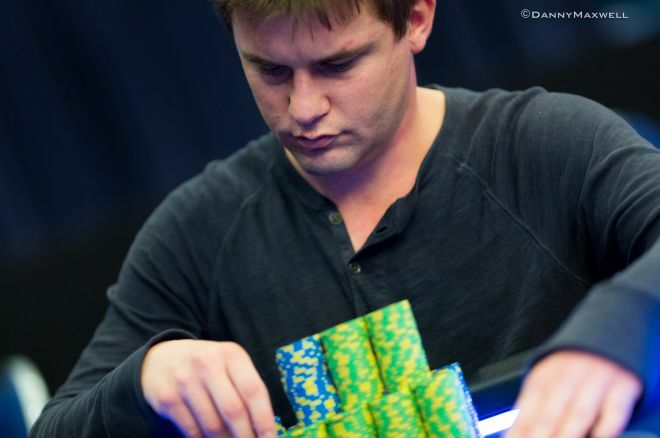 The Brazil Series of Poker is presently concluding its 10th season with the 2015 BSOP Millions festival in São Paulo, highlighted by the Latin American Poker Tour Grand Final. The Main Event of the 2015 Rock ’N’ Roll Poker Open began yesterday at the Seminole Hard Rock Hotel & Casino. The WPT Prague Festival starts on Sunday. And the Parx Casino Big Stax XIV series begins next Tuesday.